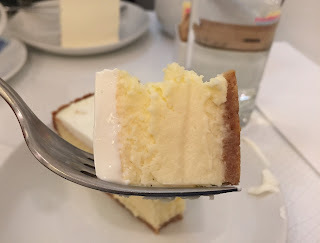 From The Met Breuer to The Met, we stopped at Lady M to have some cakes. It's around 2: 30 PM on Saturday and the limited table space was full but in about 15 minutes, we could get a table as a staff had told us. Sandwiches are on whole grain bread, and we wished they had croissant sandwiches. 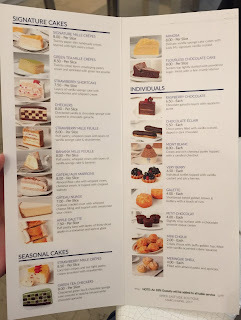 We had 3 cakes in total this day; Gateau Nuage, Strawberry Shortcake and Banana Mille Feuille. 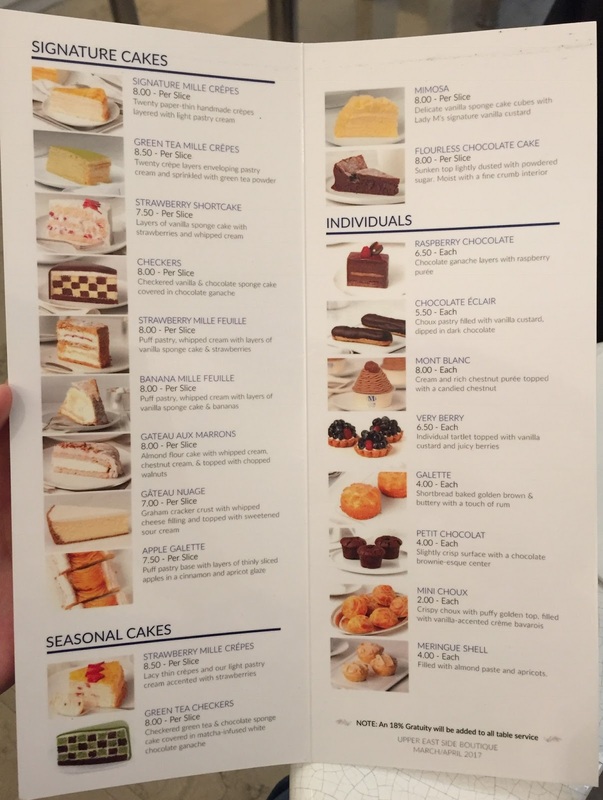 At Lady M, they slice from a whole cake in the glass wall display, but the display doesn't have any covers to shut the airs out and time to time some people look the cakes down over the glass wall so that it's not really hygiene, which is the huge disappointment despite the taste. This Gateau Nuage has white surface so that when they served it, I could see dust on the top. 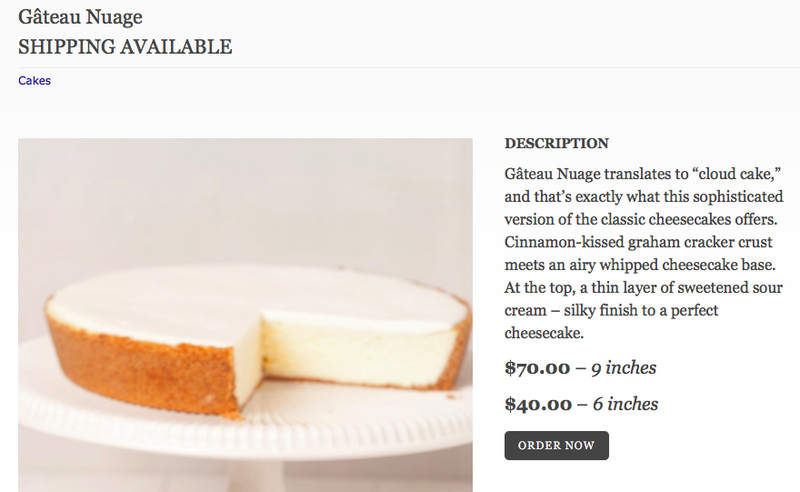 A dusty slice of Gateau Nuage. Because of the conditions how they store pastries, I didn't think they had any "clean" piece since they'd cut a slice from the non-sanitary display so that I just scraped the surface off. "Gâteau Nuage translates to “cloud cake,” and that’s exactly what this sophisticated version of the classic cheesecakes offers. Cinnamon-kissed graham cracker crust meets an airy whipped cheesecake base. At the top, a thin layer of sweetened sour cream – silky finish to a perfect cheesecake." As it's explained, the filling was light and airy, and the cookie on the bottom was moist and subtly crispy. Cinnamon flavor was covered with cheese and I didn't taste much of it thankfully. Sour cream and cheesecake had sourness and they tasted similar to Greek yogurt. It's a fluffy and delicate cheesecake topped with melting away sour cream, and the texture was coherent with the name of Cloud Cake. Just I wish they had more protective showcases to keep the pastries safe and clean.